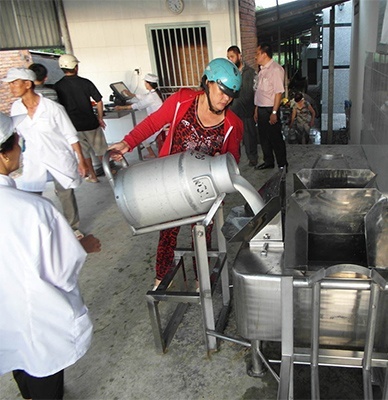 Many farmers in Vietnam only milk a few cows and produce about 5 to 13 gallons of milk a day. The light production and economic factors did not allow for local farmers to have their own milk cooling systems, so milk was transported by truck to a processor before it was cooled. The delayed cooling threatened the quality of the farmers' milk as bacteria starts to grow and milk begins to spoil faster. 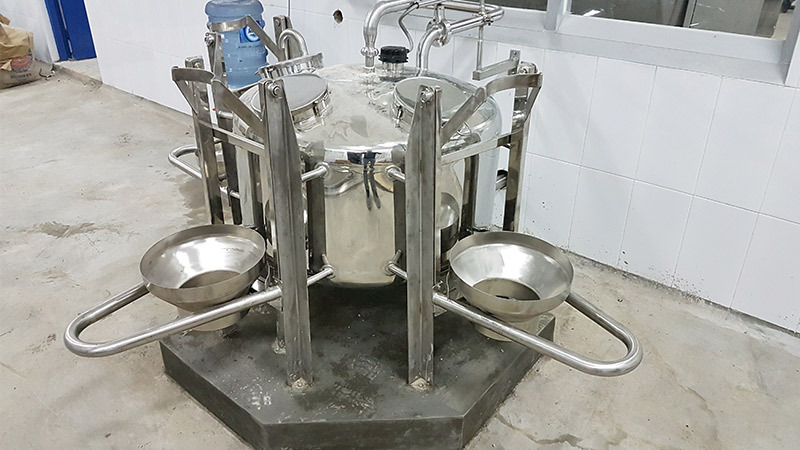 A new system was necessary to not only increase the quality of milk these farmers were producing, but increase their quality of life and offer dairy products to community members that were safe to consume. 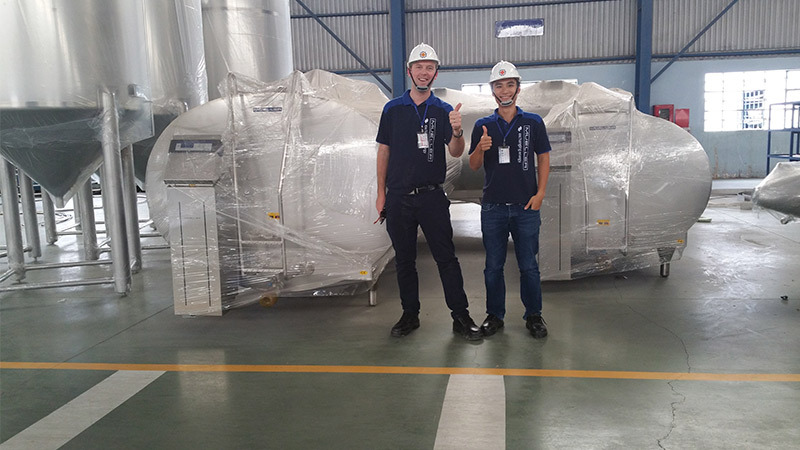 Paul Mueller Company collaborated with FrieslandCampina Vietnam and started supplying milk cooling tanks in Asia. Through the farmer support system, FrieslandCampina put the milk cooling tanks in central spots. The small farming families take their milk churns to one of the central collection points twice a day and pour it in a Mueller dump unit. From there it is stored and cooled in Mueller tanks. At some collection points the milk of about 70 farmers is collected. The Vietnam collection centers contribute to Mueller's and FrieslandCampina's goal of producing sustainable and nutritious food for consumers worldwide. Through this system thousands of smallholder dairy farmers are improving the quality and safety of milk produced on their farms. Since Vietnam began, this concept has spread. Collection points are being set up in countries such as Malaysia, Nigeria, Indonesia and Thailand. 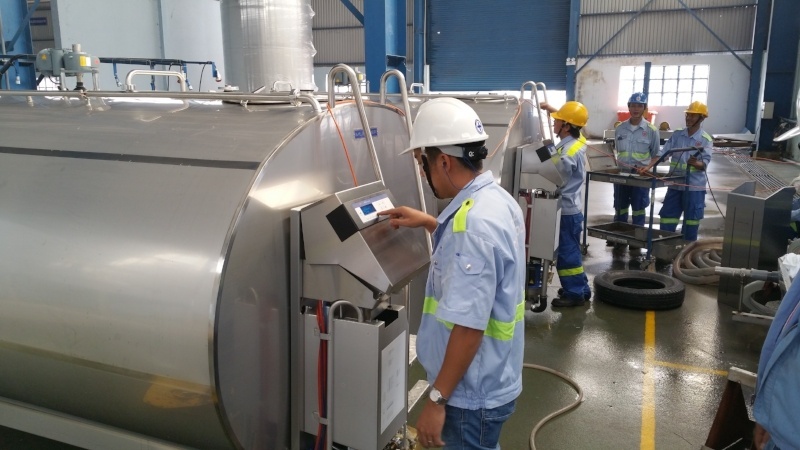 Mueller continues to work with global partners such as FrieslandCampina to bring viable milk supply chain management solutions to emerging countries.